GMOs | Whole Food. Real Food. Good Food. Genetic engineering is a process where scientists take genes from one species and force it into the DNA of other species. GMOs are introduced into the genetic code of certain crops to promote particular characteristics, such as a resistance to certain pesticides. Every single independent study conducted on the impact of genetically modified food shows that it damages organs, causes infertility, causes immune system failure, causes holes in the GI tract and causes multiple organ system failure. Before you read any further watch this 7 minute film summarizing the basics of GMOs. And then read these two articles: Shock findings in new GMO study (the abstract to this study can be found here) & GMO feed turns pig stomach to mush (the study can be found here). GMOs, or “genetically modified organisms,” are detrimental to our health and we need to avoid consuming anything containing them. Purchase organic to be sure you are avoiding GMOs. If it is organic, it is non-GMO. 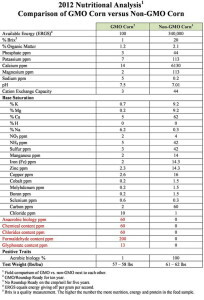 To bring this concept to life, here is a good article that describes the difference between non-GMO and GMO corn. Products derived from the above, including oils from all four, soy protein, soy lecithin, cornstarch, corn syrup and high fructose corn syrup. Also, meat, eggs, and dairy from animals that have eaten GM feed (and the majority of GM corn and soy is used for feed); dairy products from cows injected with rbGH (a GM hormone ); food additives, enzymes, flavorings, and processing agents, including aspartame (NutraSweet) and rennet used to make hard cheeses; and honey and bee pollen that may have GM sources of pollen. #2. America does not require GMO labeling. China, Russia, and about 60 other countries require labeling if a food contains GMO ingredients. 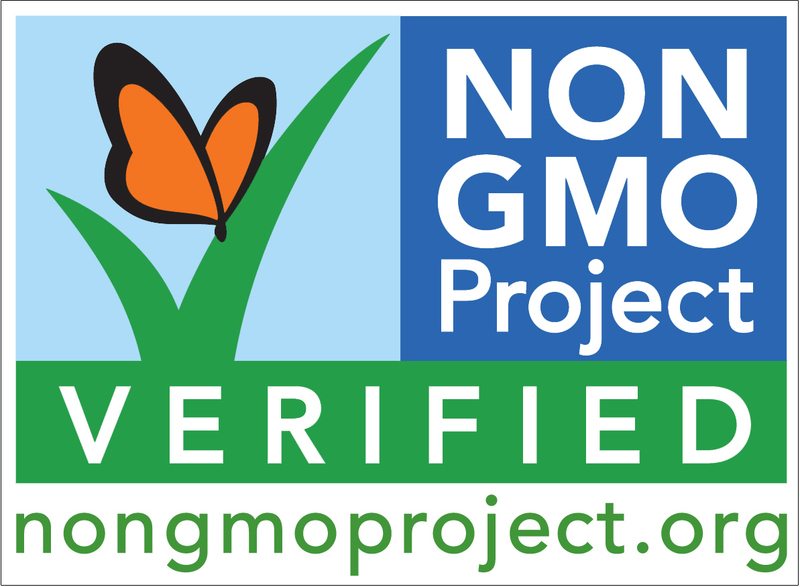 Despite efforts on state and federal levels to require labeling in the U.S., at present GMOs do not have to be labeled here. And that leaves most U.S. consumers in the dark. During the 2012 election, the megacorporations that produce both the GMO seeds and the chemicals used on GMO crops spent $45 million to defeat a labeling law in California. If GMOs are so safe, as the corporations say they are, then what’s there to hide? Click here to see a GMO labeling debate to familiarize yourself with the issue. #3. GMOs have never been properly tested for long-term health impacts. The studies used for government approval of GMO crops are conducted by the very same corporations that create the seeds. Can you say conflict of interest? These studies generally are short-term and aren’t reviewed by other scientists. The raw data used for approval generally isn’t shared with the public. There are no independent, long-term studies investigating how this new genetic experiment affects human health, although some emerging research suggests the genetically altered foods could cause organ damage and food allergies. #4. Chemical companies control what’s on your plate. Three corporations—Monsanto, Dupont, and Syngenta—control 53 percent of the proprietary seed market. They also create the chemicals used on the seeds, a huge moneymaker. Since their biotech seeds are used to grow food for most of the cows, chickens, and pigs in the U.S., these corporations control most of the food Americans eat. #5. GMO technology can’t outsmart nature. Using billions of gallons of pesticides a year has created “superbugs” and “superweeds,” pests and plants that have outsmarted GMO technology. (The same type of thing happens when we overuse antibiotics; hard-to-kill superbug infections occur.) In short, a technology that promised to help farmers is now causing never-before-seen pest problems, and ones that call for even greater chemical use. There are now more than 500 species of bugs resistant to pesticides, and global pesticide use has increased from 200 million pounds in 1945 to 5.1 billion pounds today. #6. GMOs aren’t necessary to feed the world. While biotech companies are making a fortune selling the GMO seed-chemical package, they’re focused on greenwashing the technology as the only possible means to feed the world. That theory’s been debunked by numerous studies and reports, including ones from the United Nations. The Rodale Institute’s 30-year farming systems trial found that while GMO crops may produce increased yields during the first few years under perfect conditions, organic methods produce similar yields over the long haul. 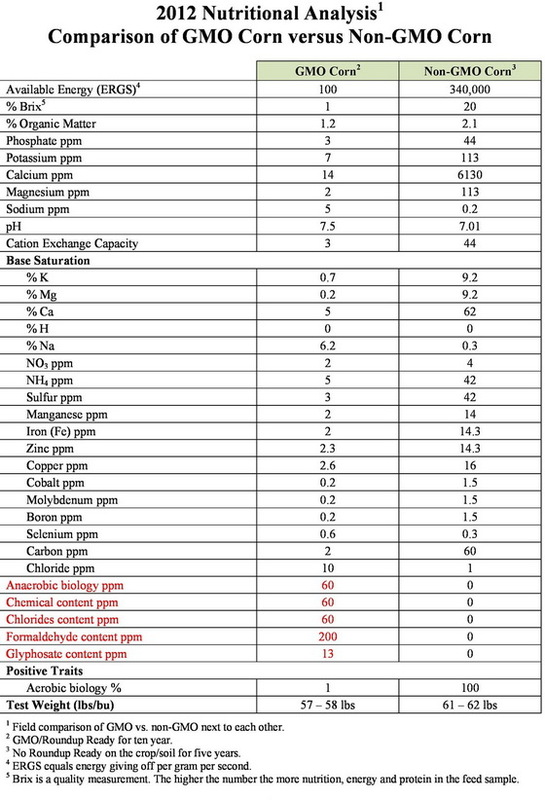 In fact, during years of drought, organic outperformed chemical agriculture. In actuality, GMOs threaten food security. As more farmers turn to the same variety of seed to grow, other traditional (also called “heirloom” or “heritage”) seeds are going extinct. These seeds hold the genetic diversity that could offer traits to ward off diseases and better adapt to climate change in the future. A new study shows that GM farming as practiced in the US is being left behind by the mostly non-GM farming practiced in Europe. GMOs are lowering yields and increasing pesticide use in North American farming compared to mostly non-GM Western European farming. Did you know Haiti, the poorest country in the Western hemisphere, chose to burn tons of GMO seeds donated by Monsanto after the earthquake rather than plant them for food? To the Haitians, the GMO seeds were a threat to their very existence as farmers. GMO seeds are patented, so farmers aren’t allowed to save seed from their harvest to replant the next year, something that’s been the cornerstone of farming for centuries. Once you buy into the GMO way of farming, you’re bound to buy the chemicals and the seeds every year. In the GMO OMGdocumentary, farmers called it a “capitalistic enterprise,” adding that Monsanto doesn’t protect the environment, improve the quality of food, or protect life. For more ways to keep GMOs off the menu at your house, read How to Avoid GMOs. GMO labeling will be showing up on more products in the coming years. 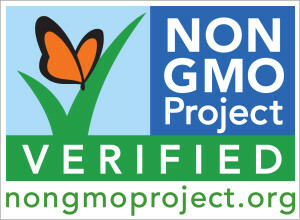 Look for this label on the products you purchase and you can be assured they are GMO free! Palouse Brand is a great site to purchase GMO free food. Pingback: Real Chili Seasoning | Whole Food. Real Food. Good Food.